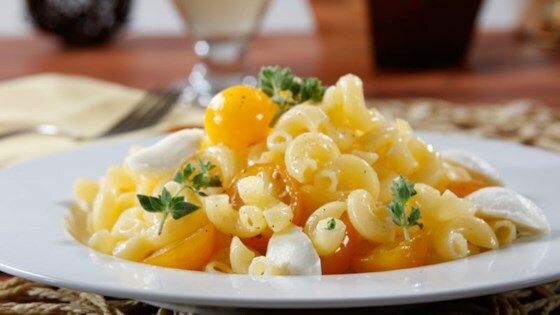 "This delicious, gluten-free pasta salad with cherry tomatoes, fresh oregano, and mozzarella cheese is ready to serve in less than 30 minutes." Drizzle in the remaining olive oil slowly to make a creamy dressing, season with salt and black pepper. Add pasta, tomatoes and mozzarella, stir to combine.